Optional: Top with crushed peanuts! 1- Heat up 4 tbsp oil on pan for 1-2 minutes. 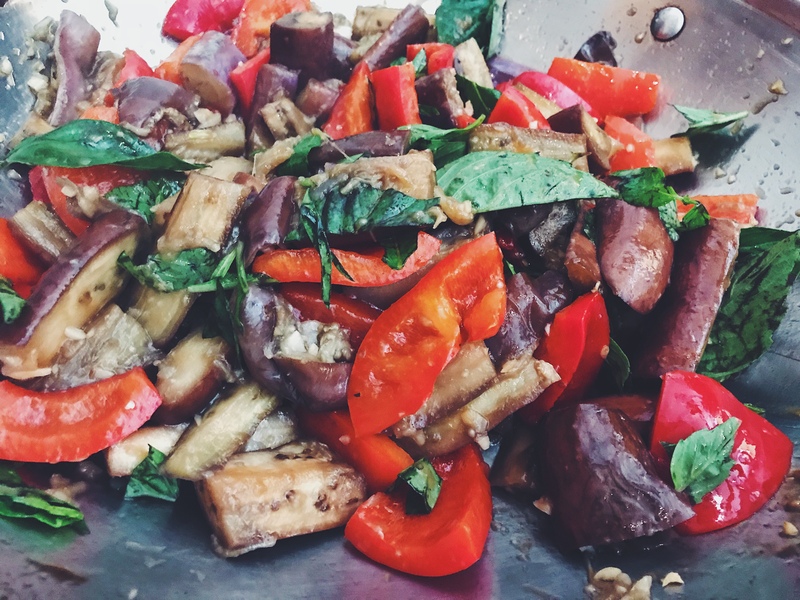 2- Dump in the eggplant and stir fry for about 2 minutes. 3- Pour in 1/4 cup water and put lid on the pan and let it cook until desired tenderness–we let it steam up in there for 10 minutes. Transfer to plate for later. 4- Put remaining 3 tbsp oil and heat up the garlic for 1-2 minutes. 5- Add red peppers and stir fry for about 3 minutes (we like ours slightly crunchy). 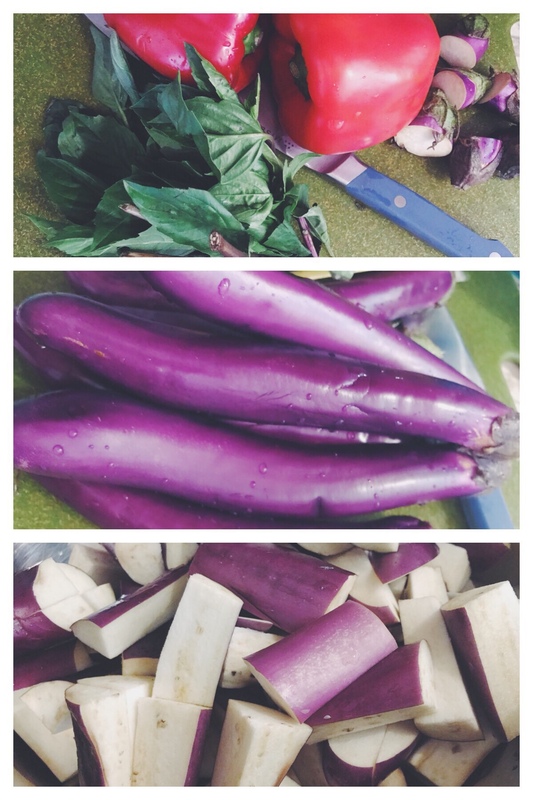 6- Add in eggplant that was set aside and add the fish sauce and sugar. 7- Stir in basil and cook for 1 minute and it’s done! Enjoy with white rice or rice of your choice!